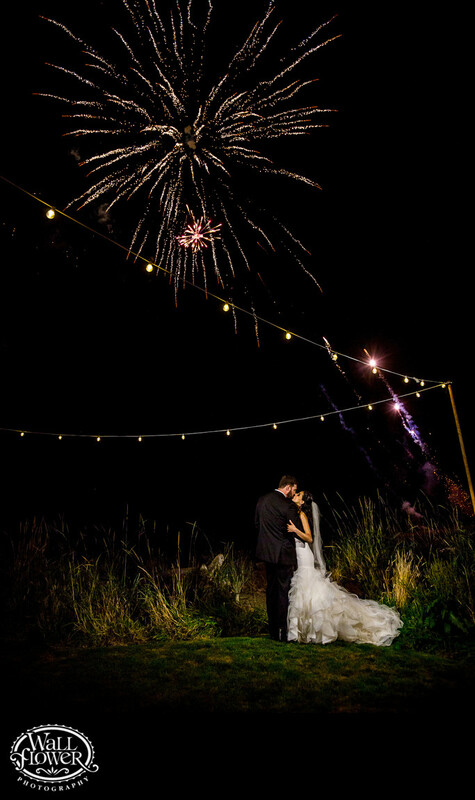 Near the end of this newlywed couple's wedding day at the Edgewater House in Olalla, Washington, they had arranged for a short fireworks show over the nearby waters of Puget Sound just before they left for their hotel and honeymoon. During the show, I trained a single light on them and fired several photos as they watched the fireworks. Then I suggested they kiss for this last and best photo.